I have gathered some brand new base designs I really like and want to share. Before we start I want to give you a more tip if you choose to use an internet base layout – they often times get quite popular, so people learn to handle and beat them. It usually helps to adapt them a little bit. 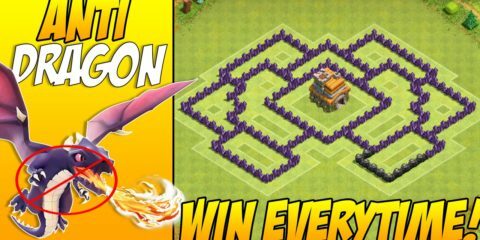 Town Hall 7 Farming & Trophy Base – (click on the pic for a better view): This TH7 Farming/Trophy Hybrid Base fits well with a lot of intersections. Particularly the layout on the outside should make it hard to funnel troops into the inside and you will see troops walking around on the outside a lot. Town Hall 7 War Base – (click on the pic for a better view): A perfect way to make attacks fail is the layout with outside islands and the runway in between around the core. A number of attacks will fail in this setup. Town Hall 8 Farming & Trophy Base – (click on the pic for a better view): This base with a ring around the center offers safety for your Dark Elixir and even trophies. 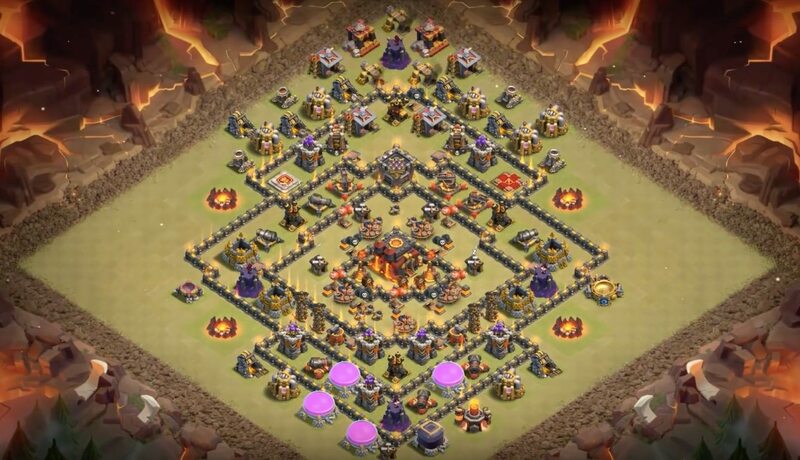 Town Hall 8 War Base – (click on the pic for a better view): If you want to stop Hog Riders from crushing your war base I can suggest this layout. 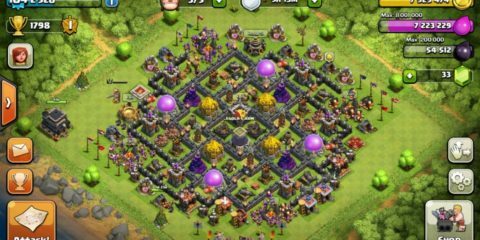 Town Hall 9 Farming & Trophy Base – (click on the pic for a better view): This base is quite fantastic because it offers an outside ring with the open spots which makes it really hard to get troops to go for the Town Hall and the Dark Elixir in the core (by way of the double wall layer). 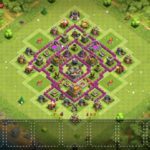 Town Hall 9 War Base – (click on the pic for a better view): This really is a classical Anti 3-Star war base with huge sections and a Tesla Farm on the outside. 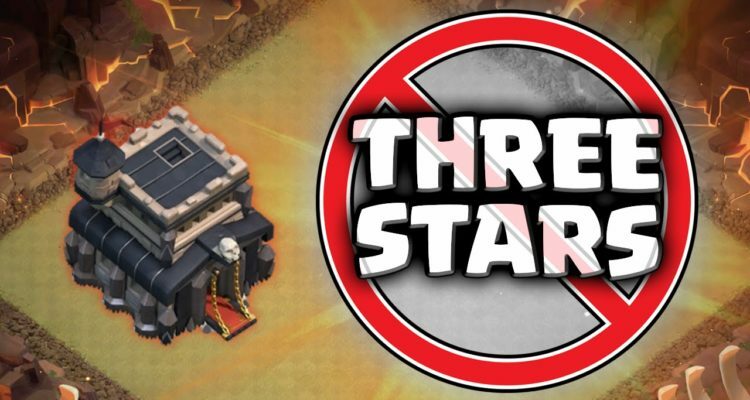 I’ve seen good results of this base so far and can strongly recommend it. 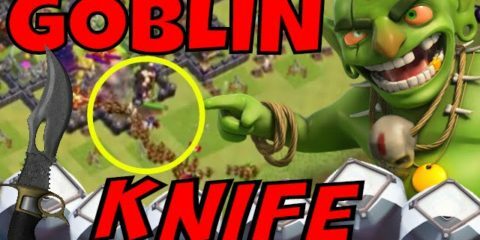 Town Hall 10 Farming & Trophy Base – (click on the pic for a better view): This base is for farming , mainly Dark Elixir . It’s really hard to funnel troops into the core area without having them running around the base. 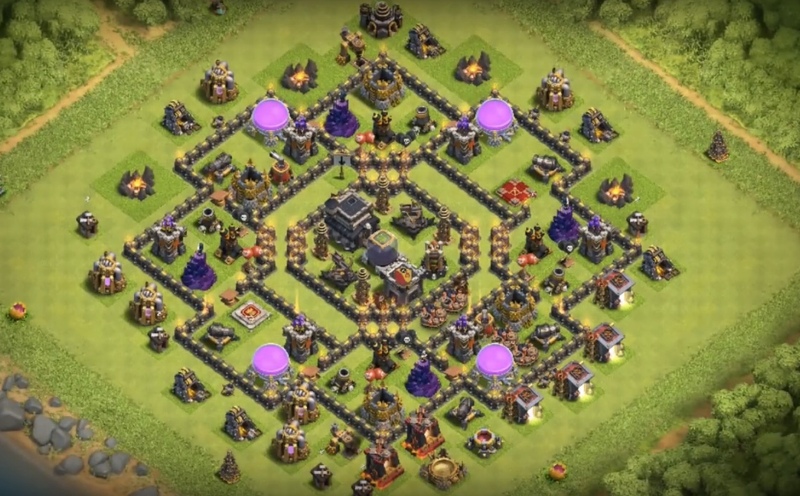 Town Hall 10 War Base – (click on the pic for a better view): In the beginning I thought this base is an easy to beat ring base, but it works much better than I thought. The ring serves as high protection for the core and even if troops break through they will deal with loads of traps. 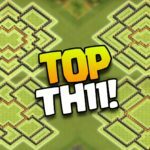 Town Hall 11 Farming & Trophy Base – (click on the pic for a better view): This base provided me some nice defensive wins lately up in Titan League, so I can suggest it. 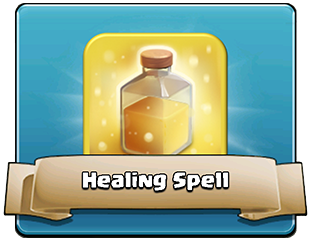 You will also have great protection for your Dark Elixir. 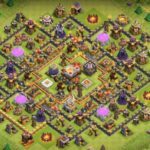 Town Hall 11 War Base – (click on the pic for better view): This is perhaps the weirdest war base I’ve seen so far and it works way better than estimated. The Inferno Towers are hard to crack and the wide-spread layout should make it hard for the troops to undergo the whole base in time. Hope! You enjoy the guide let us know your ideas via in comment section.